Well, not really. He kind of sort of lent it to me. 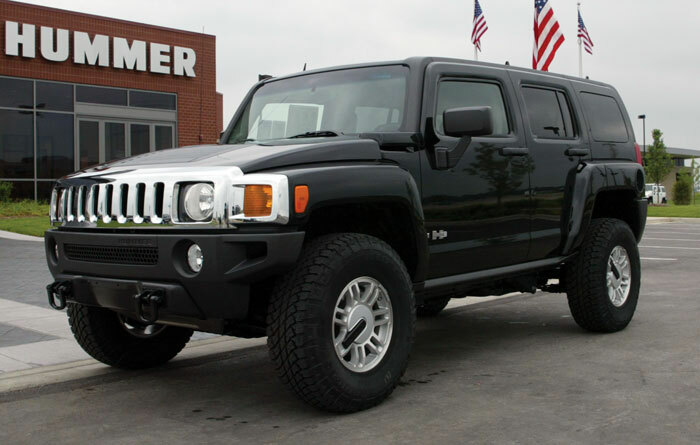 As you may remember, faithful reader, my company leased two vehicles last year, a H3 and some sort of BMW convertible. They draw names for them every month, so we'll all eventually get a chance to drive them. Nice. Anyway, my one boss got the Hummer this month, and he's going out of town for a week and a half, so he kindly let me drive it. It's weird. I'm not really into gas guzzlers, so it's somewhat hypocritical, but it's really fun. It drives really smoothly, and has pick up like you wouldn't believe, though I'm constantly worried about taking out a mailbox or street sign. And it also has a bitchin' sound system. Be on the lookout, St. Louis. I may be coming to a yard near you.